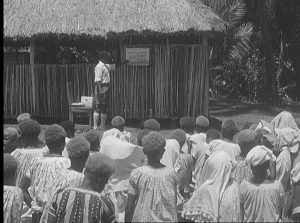 Path to Nationhood tells the story of the first national election of the House of Assembly of Papua and New Guinea in 1964. 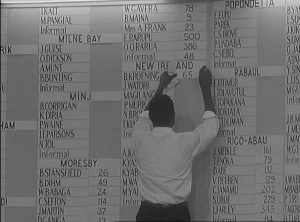 It includes footage of the difficulties faced compiling the common electoral roll (for 1,000,000 Papua New Guineans), voting, counting and the declaration of the polls. After the screening Dr Nicole Haley, Convenor of the State, Society and Governance in Melanesia Program, will outline the program’s involvement in the upcoming national elections and Dr Terence Wood, Research Fellow at Devpolicy, will introduce the new PNG Election Results Database.